One of the most satisfying feelings I've experienced in my life has to be the following: when I enter a bookstore with no specific intention but end up finding a treasure. This happened to me when I discovered Suitcase magazine a few years ago and when I bought Brontë Aurell's North: How To Live Scandinavian book in Toronto last September. My bookstore of choice for this kind of adventure is definitely Chapters/Indigo. However last weekend I had an hour to kill and decided to see what Renaud Bray had to offer. Typically they have more French books from Quebec or from abroad and also a big selection of graphic novels. It's when I looked through their magazine section that I became totally smitten! 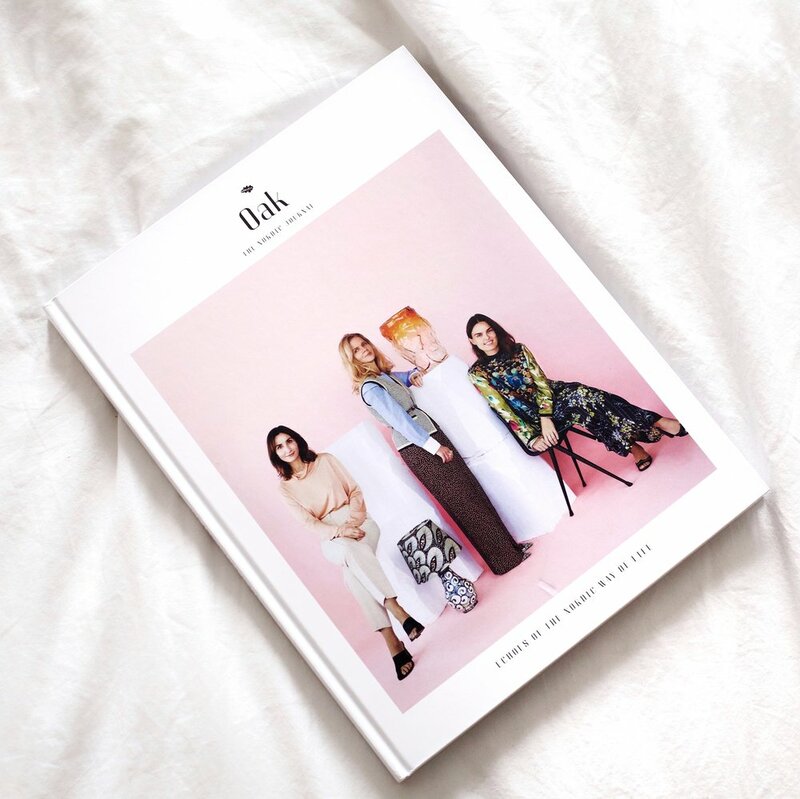 I found this amazing magazine that looks like a coffee table book: Oak The Nordic Journal. 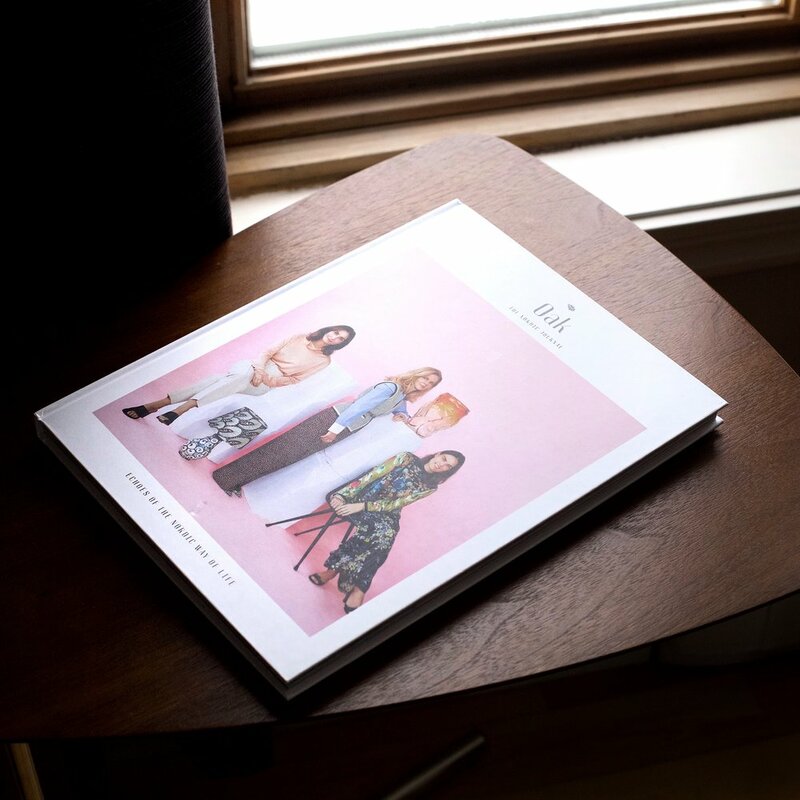 This magazine is published twice a year and features articles and interviews about Nordic design, art, and fashion. The layout inside is what caught my eye: they use soft and bright colors, minimal fonts and stunning pictures. 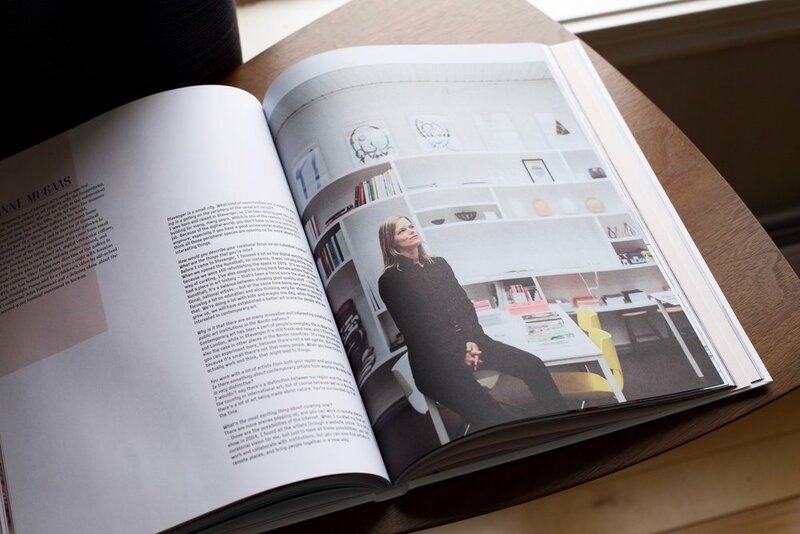 In this edition, they also have an interview with Stine Goya, a Danish designer I love, and one with the founders of the popular homeware brand Hay. If you love the smell of new books, you will be happy with this one! Sure this magazine is a little bit more expensive than regular magazines but I feel like it is totally worth it as will remain beautiful with time. When I'm done reading it, I'm pretty sure this book will be used to decorate my room, and later as a coffee table book. What's your best bookstore discovery?